Real and practical inspiration, stories and resources on food, entertaining, gifting and travel. 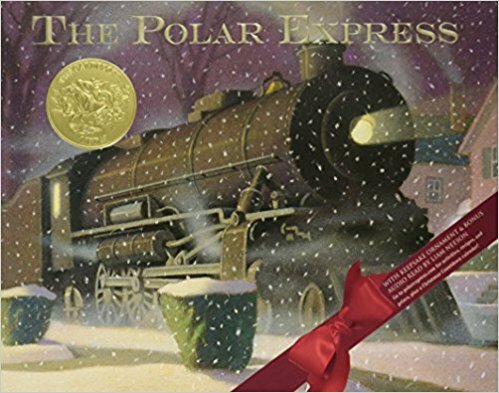 When we had our daughter we started a tradition of giving her a new book, so far always Christmas themed, on Christmas Eve that we read together that night. Now that she is just a couple months away from turning 10, I'm a little hard pressed to find a Christmas themed book that would be interesting for her (though I think I just found one). While thinking about options, I recalled all the great ones we gave her over the years. Here are some of my favorites should you be looking for something for your young child this holiday season. This one is my favorite. A fun adaptation of a familiar story. Olive is the very sweetest dog. We gave this to our daughter just last year. Even though she is reading much more advanced books, the illustrations in this one make it worthwhile even for slightly older children. Another classic and a very fun read. Not exactly about Christmas but rather the season. Super cute for little ones. I always enjoyed reading it to our daughter. All images courtesy of Amazon. In order to help support this site, we are an affiliate of a curated group of companies and receive a small commission on some sales through our site. Please be assured that we only recommend products we truly love. Take a look at our "Shop Partners" section to see who we have partnered with. Not all recommendations are from partner companies as we recommend all things we love regardless of whether we are partnered or not to bring you the best recommendations possible. A super fun gift for any avocado lover. It is super soft and beyond cute. The 15” is large enough to be impactful but not oversized to take up too much room. My daughter loves avocados and adores this stuffy. There is also a 7” size available if you want a smaller option, or prefer the lower price point. Recommendations for 2, 3, 4 and 5 graders. For younger children, many of these would be great to read with a parent. Another find that I am so happy about are these little ceramic and wood trees made by one of my favorite makers, Farmhouse Pottery in Vermont. I couldn't help myself and bought a rather large collection of them. I have a grouping of 5 wood ones in our Manhattan apartment and 2 groupings of ceramic ones up at our little country place. I absolutely love them, They are so delightfully enchanting. Seriously, get some for yourself and give them to everyone you know this holiday season. These are an instant heirloom. Reminiscent of another time yet their purity and simplicity still lend themselves to a more modern setting. I like to have a pair of these with one of the taller (also featured here) version for a trio. 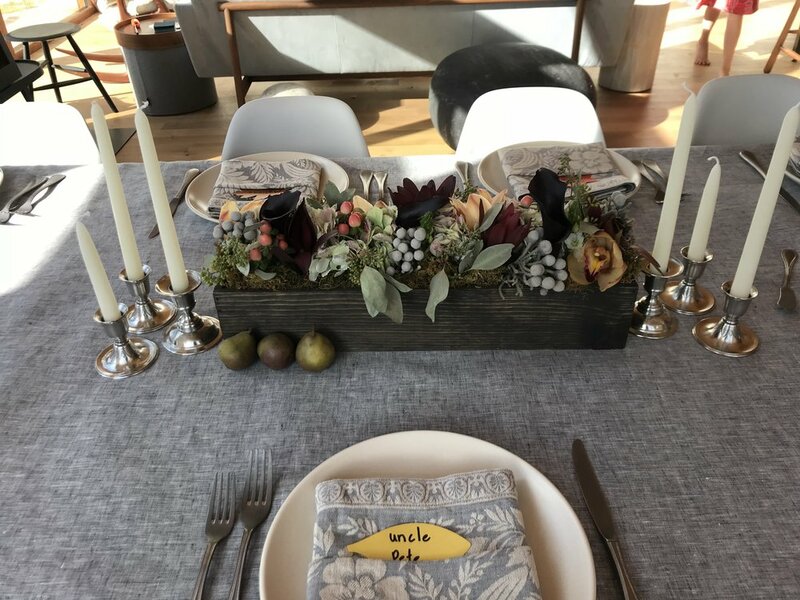 They were beyond perfect on our Thanksgiving Table this year. A bargain for the aesthetic and quality. Pick up some pretty tapers from Food52 as well, they have a bunch of amazing colors to choose from. We are an affiliate of Etsy and receive a small commission on any sales through our site. But be assured that we only recommend products we truly love. Above images are from Etsy..
Fun stocking stuffer for the Star Wars fan in your home. Special gift for the car racing enthusiast in your life. Whether to be used at the party or to be enjoyed afterwards by the host, these DIY S'mores Kits are sure to delight. Buy now (get a set for yourself too!) though our partner Food52! Add on this kitchen torch for the full effect - BonJour Brushed Aluminum Chef's Torch (Amazon).